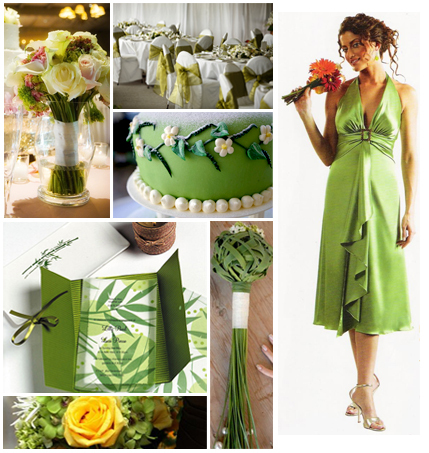 Green is typically the color of garden weddings and green weddings. The green symbolizes new life and beginning after the wedding. Using green shows awareness to be environment friendly. Green represents wealth, nature, environment, fertility, growth, victory, healing, abundant, and renewable.